Following the success of the canoe trip on the Wye in 2016, the venture is being repeated and extended in 2017. 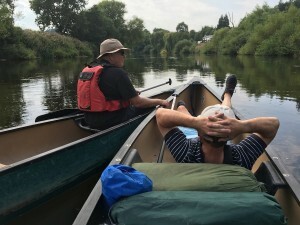 This time we are going to spend four days on the river, starting at Hay-on-Wye and finishing at Brockweir, the point where the river becomes tidal just north of Chepstow. The only long day is Day 2, but we have all day at a time of year when the days are long. There are no age restrictions this year. 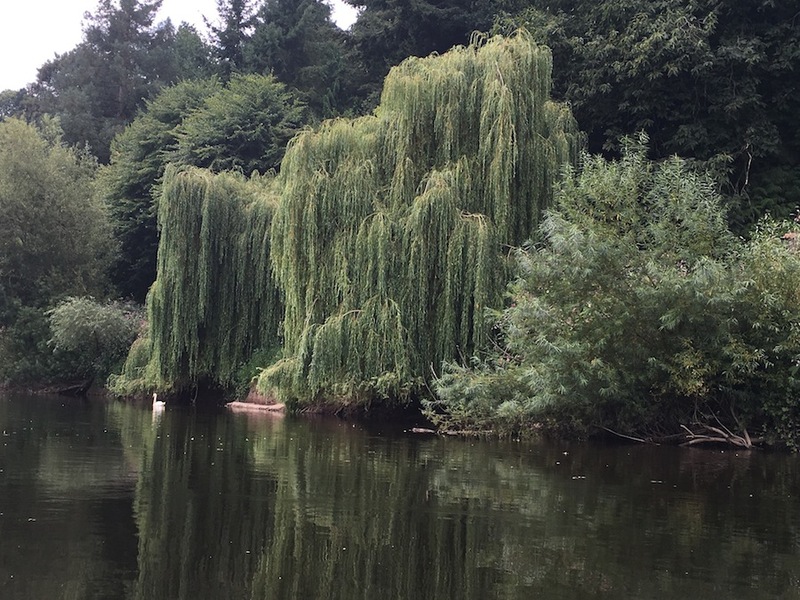 This is arguably the best river in England for a multi-day canoe trip. Canoes will be hired from the Ross-on-Wye Canoe Hire Company and they will transport us, and our canoes, to the start point at Hay and collect us when we have finished at Brockweir. 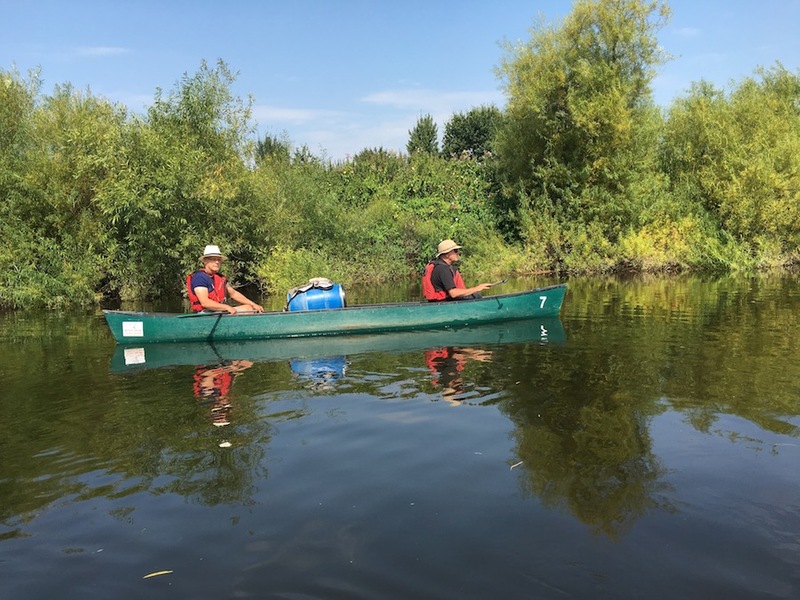 We will be able to leave cars parked at the canoe hire centre for a fee of £5 per day. Tents will be provided, as will all food and drink. I will pay for everything and when it is all over, the cost will be divided by the number of participants. To give you some indication as to cost, the three-day trip in 2016 cost a little over £200 for everything. 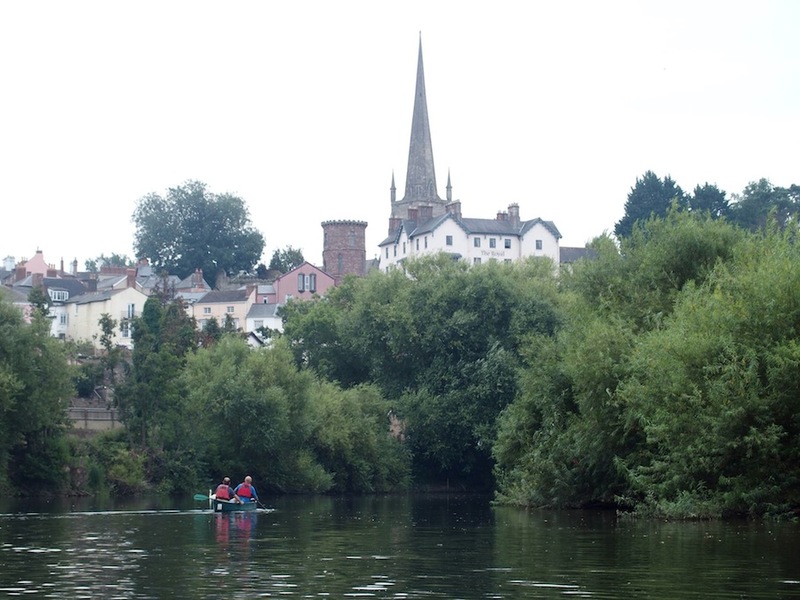 Meet at Ross-on-Wye Canoe Hire Company at Symonds Yat West at 10.00am to be kitted out and transported to Hay on Wye. Hopefully, we will be in the water round about midday. Please bring a packed lunch. We should arrive at Bycross Farm at around 5.00pm. The campsite has a toilet and shower block as well as a shop. Having set up camp, enjoyed an expedition style meal, we can spend the evening by the river with a beer or two, watching the sunset. After a nutritious expedition style breakfast, we will make an early start. In terms of miles this seems a long way but we have many daylight hours at our disposal. 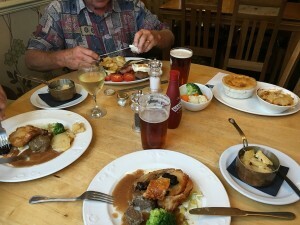 Our only time constraint is to make sure that we are in the pub for our meal in the evening. We will have made a packed lunch before we leave and this will be taken at an appropriate point during the day. Our campsite will be at Tressick Farm on the banks of the river. Facilities here are limited to a number of portaloos. 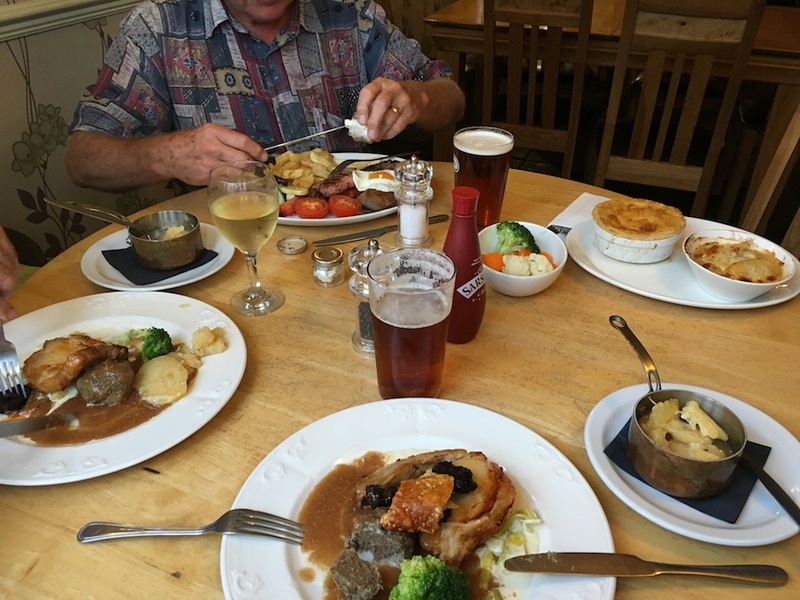 It is a short walk to the New Harp Inn, where I am sure we will spend most of the evening. Another expedition breakfast sets us up for the day. We paddle our way to Ross-on-Wye in time for a lazy pub lunch at the Hope & Anchor. 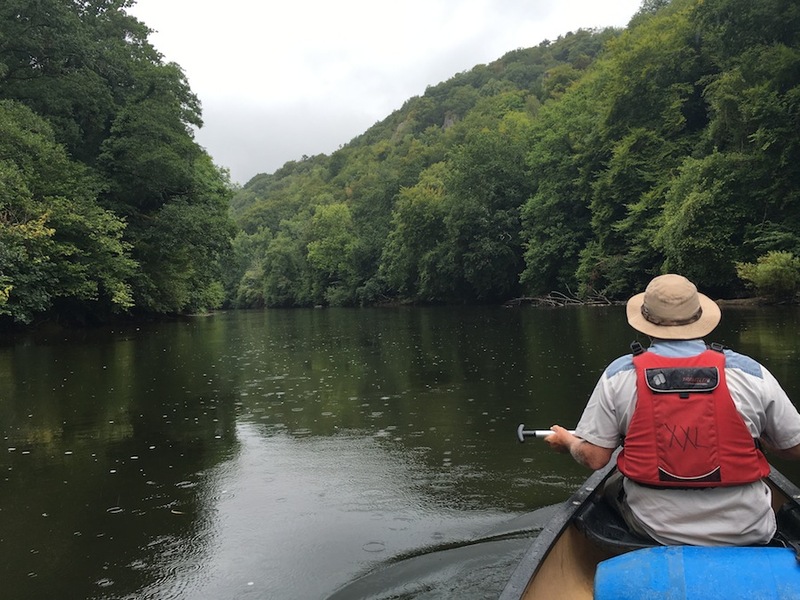 Continuing, we follow the meanders through spectacular scenery to land at Wye Valley YHA at Welsh Bicknor. Here we will camp but take full advantage of the facilities of the youth hostel, including dinner and breakfast the following morning. Having enjoyed a full English breakfast and picked up our packed lunch, we cast off for a spectacular day’s paddling through the Symonds Yat Gorge, stopping for coffee at Symonds East for a coffee while we prepare ourselves for shooting the rapids. 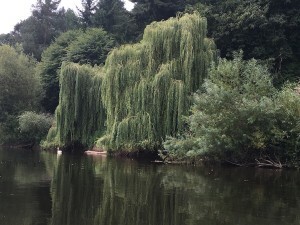 Having successfully shot the rapids, we continue past Monmouth and on through the fringes of the Forest of Dean to our final destination, Brockweir, where we will be collected and returned to Symonds Yat West to pick up our cars. If you are interested in either trip, get in touch.